We had our first strawberry of the season last night and it was sooooo delicious. 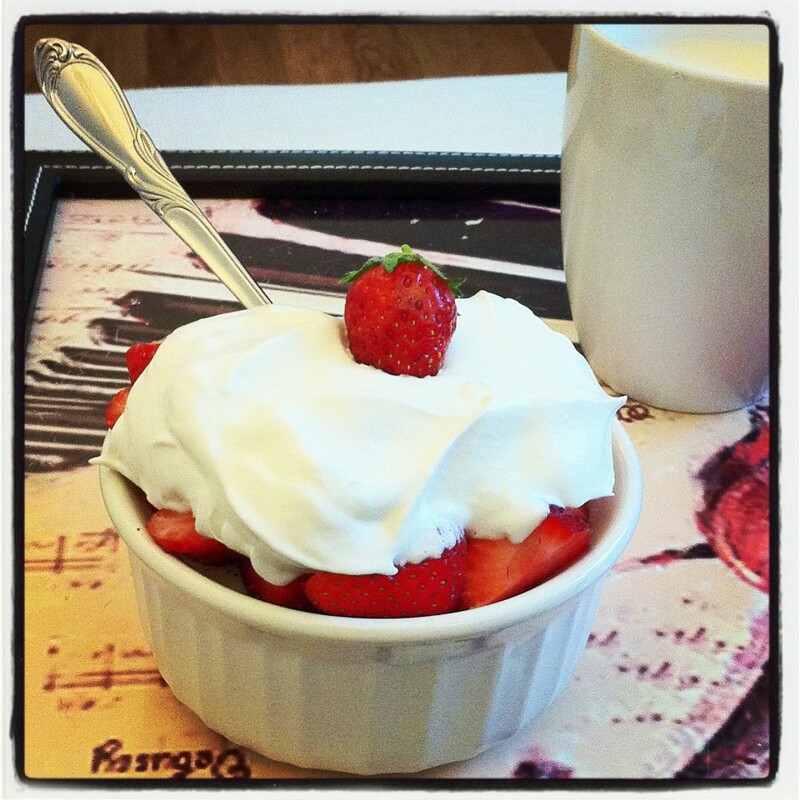 This is a vanilla and cardamon panna cotta topped with store-bought strawberries and whipped cream (it’s Sunday – I am allowed!) and to finish it up, our own balcony-grown strawberry. Hummm… just to think of it this morning, I am salivating.